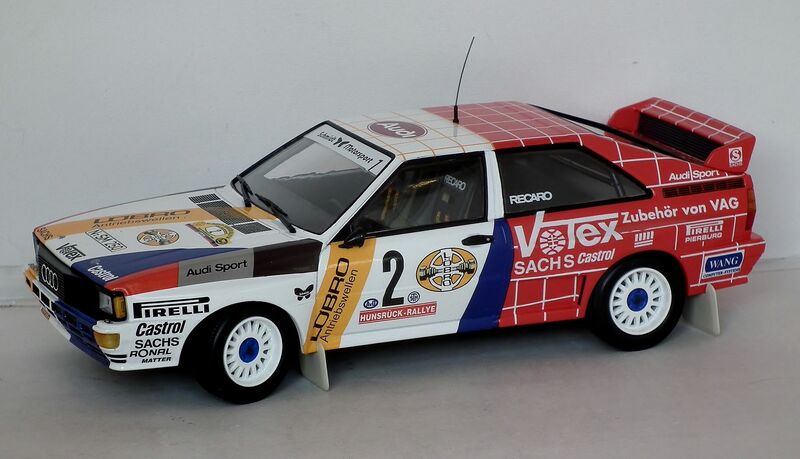 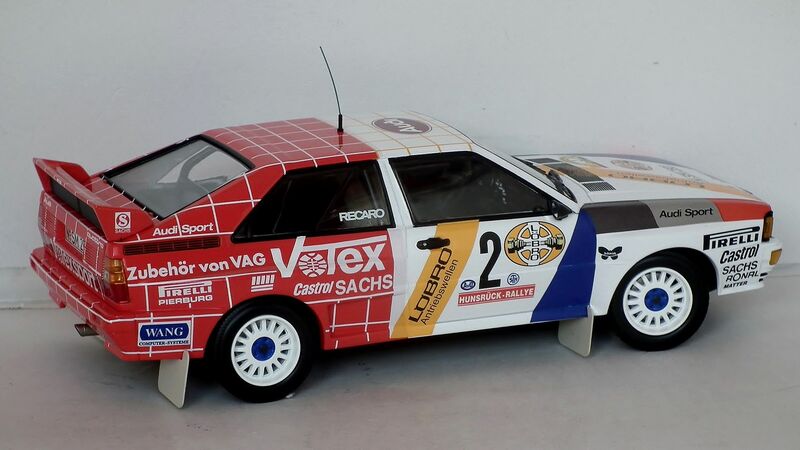 Another one, this time from the 1984 Hunsruck Rally which was a round of the German Rally Championship, driven by Harold Demuth & Willy Lux to 1st place who went on to take the German championship with 6 wins and 3rd in the European championship. 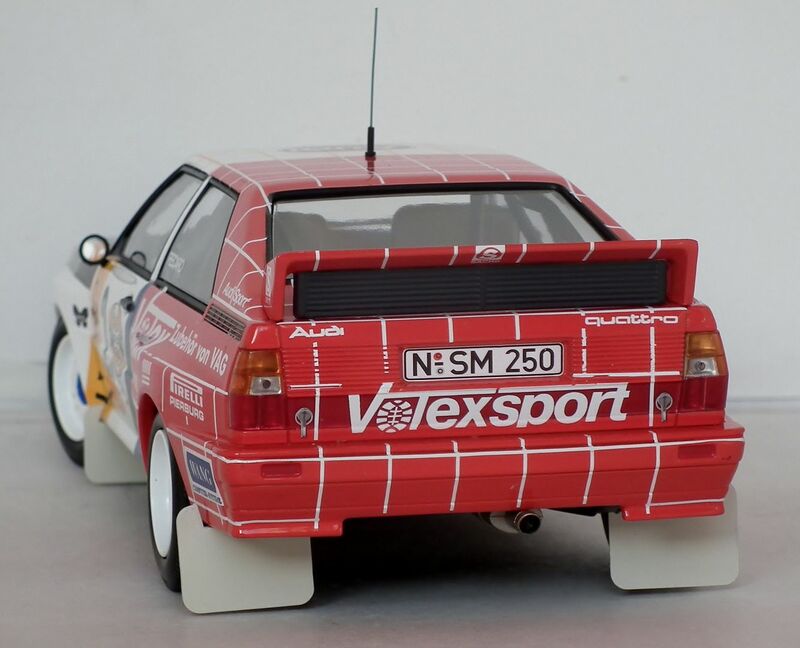 This rally also featured Walter Rohrl in a Sport Quattro as a 0 car to test engine configurations who by using Harold's' borrowed notes was 3 minutes ahead at the end of the first day. 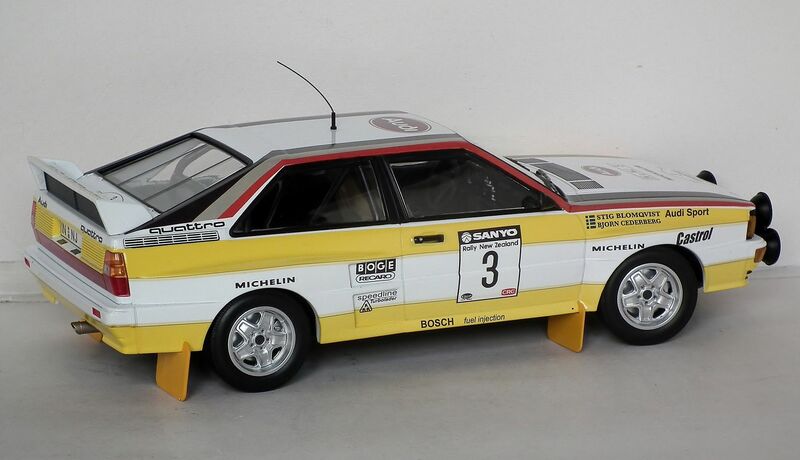 You can never have enough Quattro's! 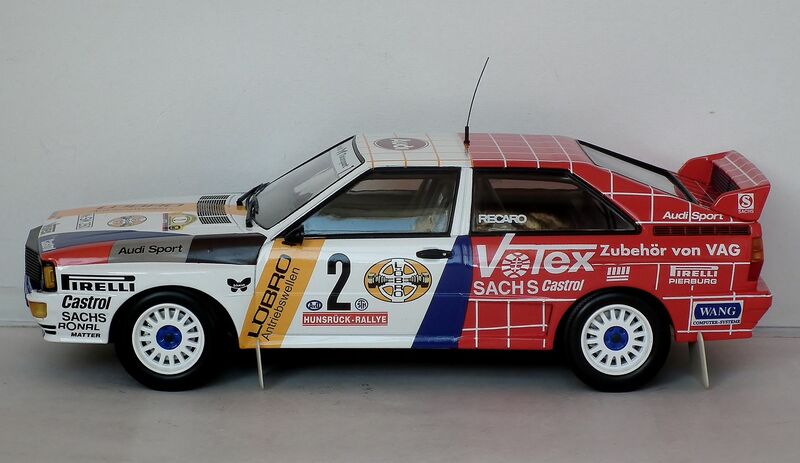 Like the livery on this one. 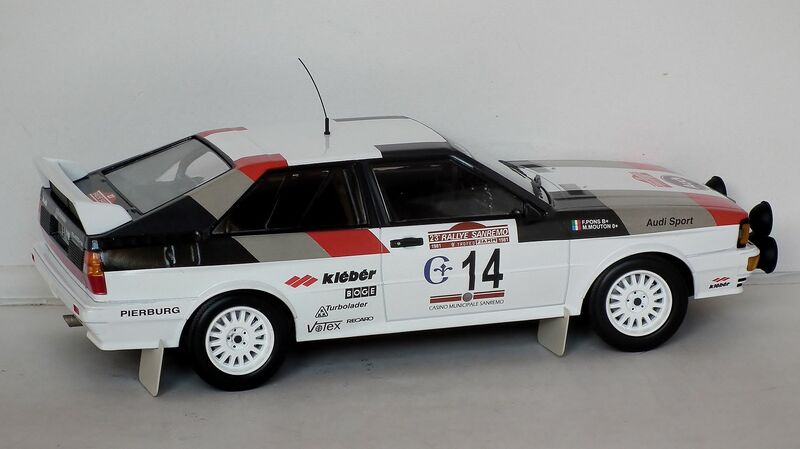 And another one, this time representing Michelle Mouton's car from the 1981 San Remo Rally. 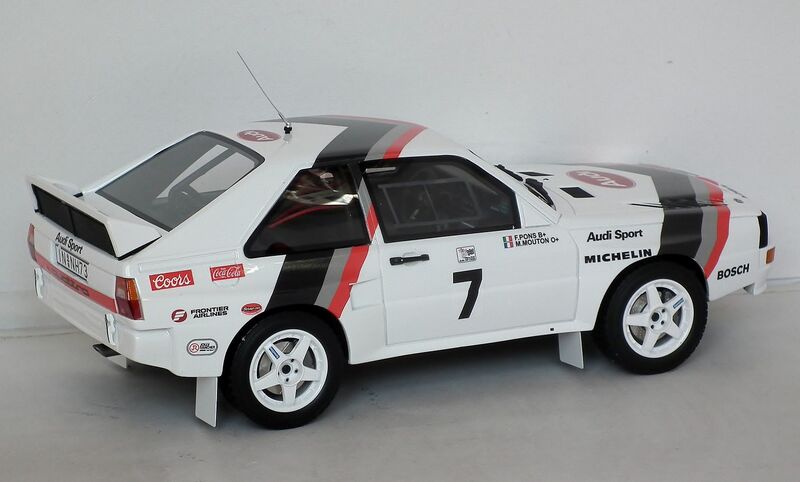 Michelle was signed by Audi in late 1980 raising a lot of eyebrows in the rallying world and went onto compete for them for the next 5 years though only with less frequency in 84 & 85. 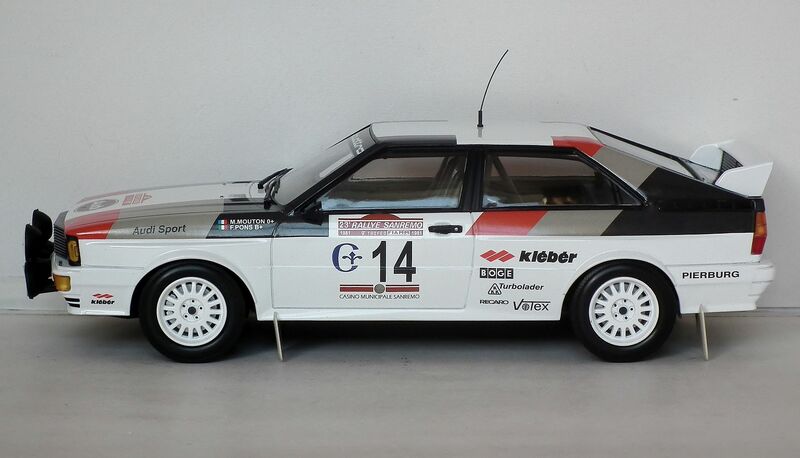 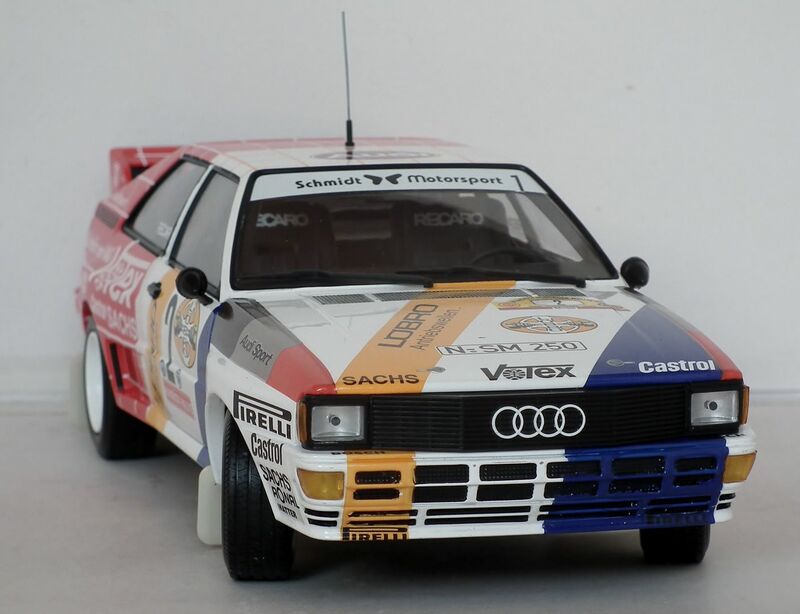 1981 was her debut season with Audi and she competed in 7 rallies that season and by the time she got to San Remo she already had a 4th placed finish in Portugal which was her best to date. 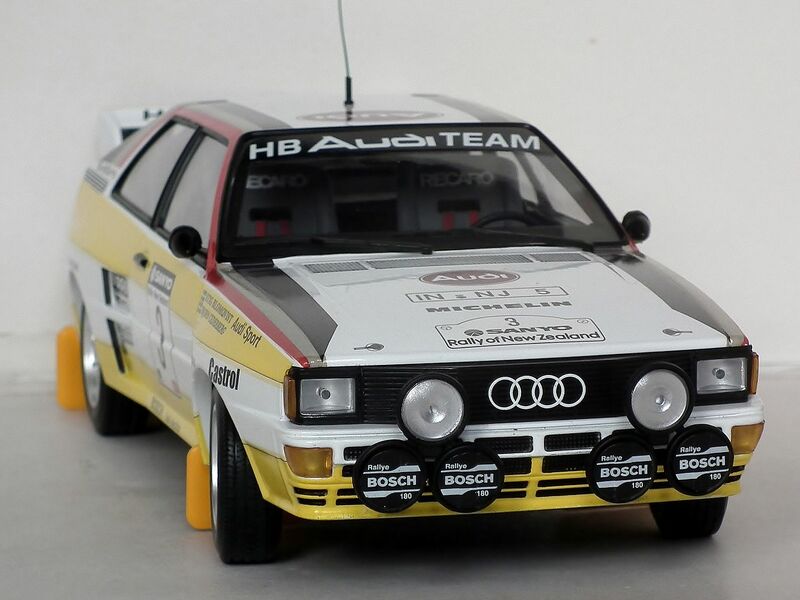 The rally was initially led by Walter Rohrl in his Porsche 911 but then local star Michele Cinotto in another quattro took the lead which he held until he crashed on stage 24 handing the lead to Mouton who then held off both Henri Toivonen and Ari Vatanen to take the win by a little over 3 minutes which was the the first time a female driver had won a world championship event in rallying. 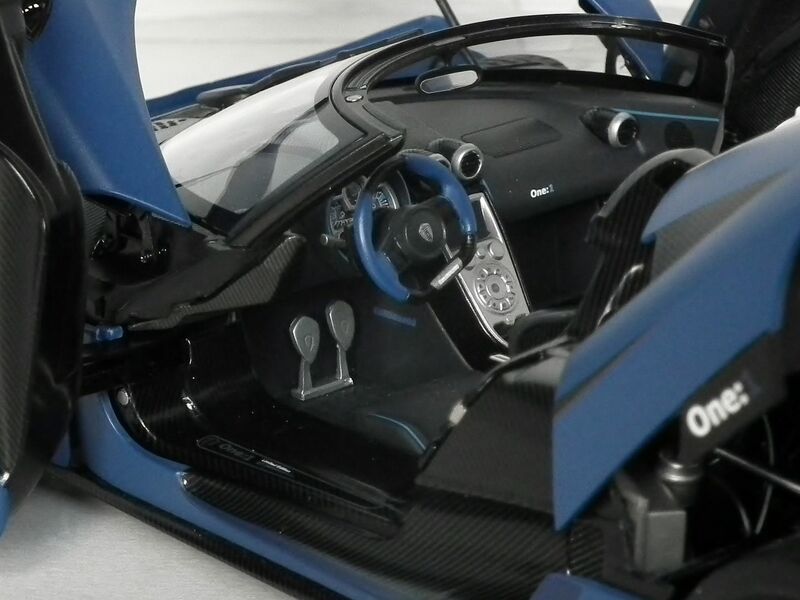 I think so.....perhaps have a tattoo with it too! 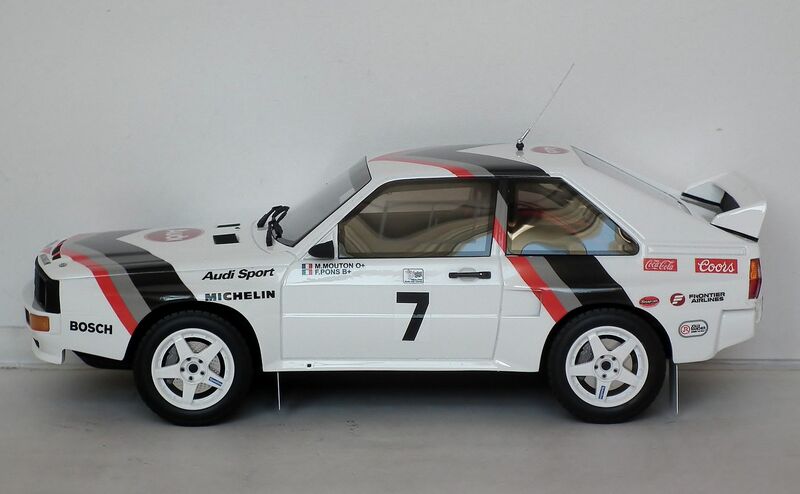 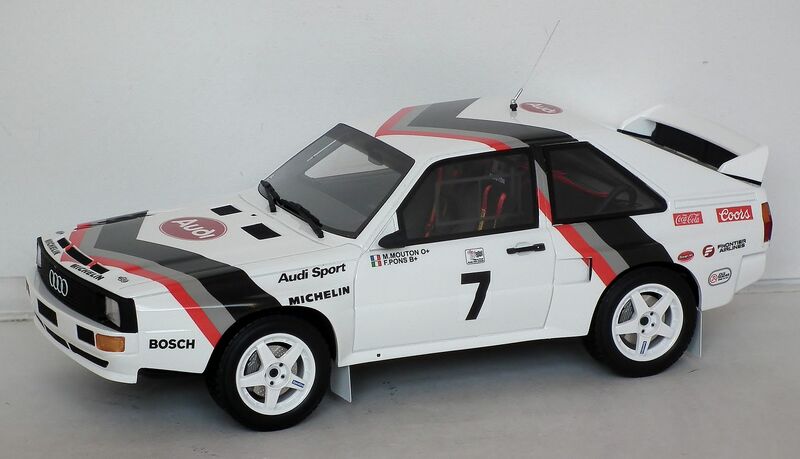 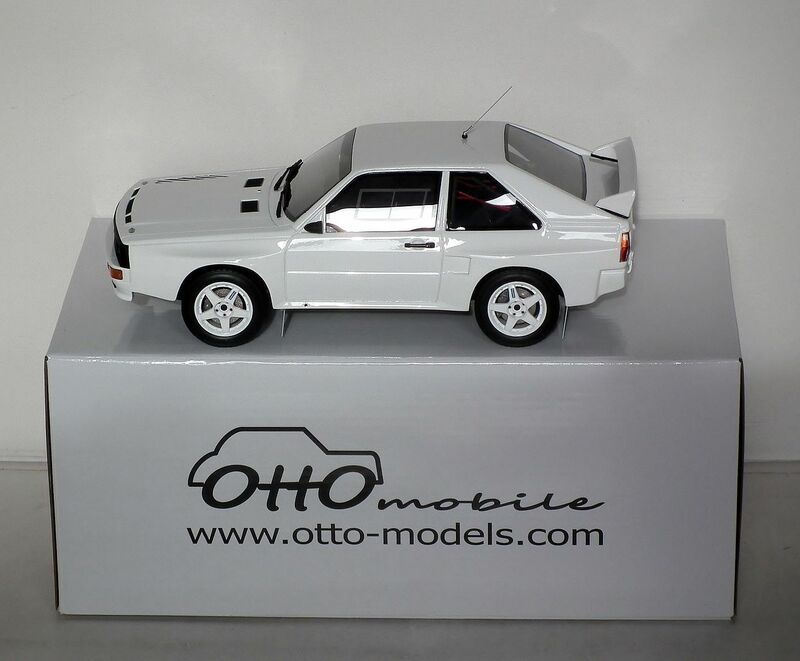 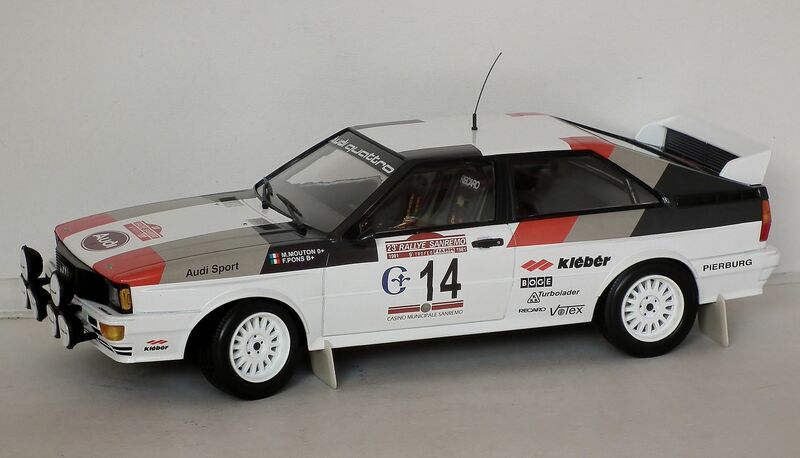 Like the MM Quattro even more......quite tempted to get this one too. 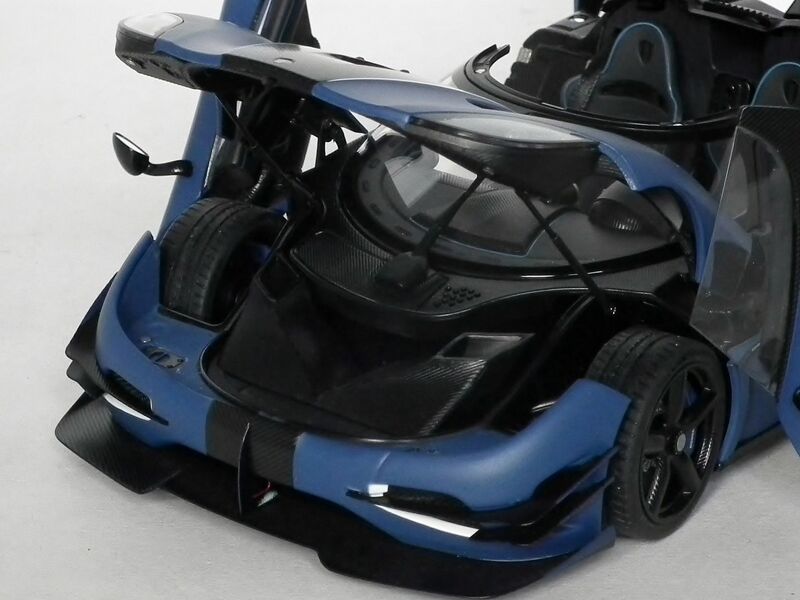 Yes, or could be buried in one viking style! 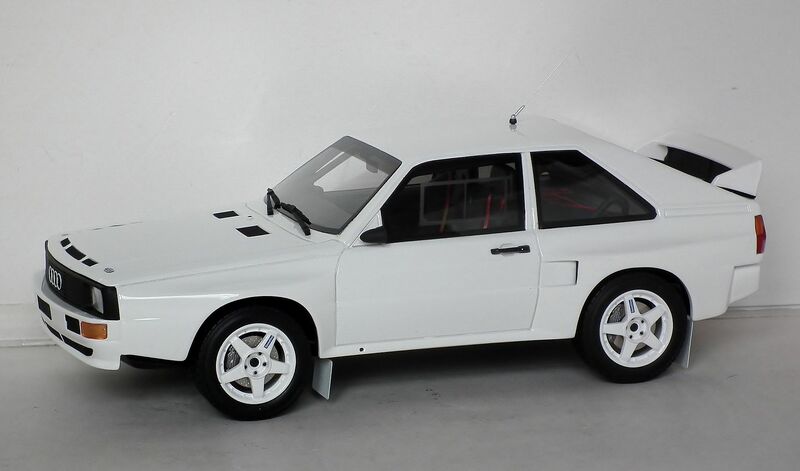 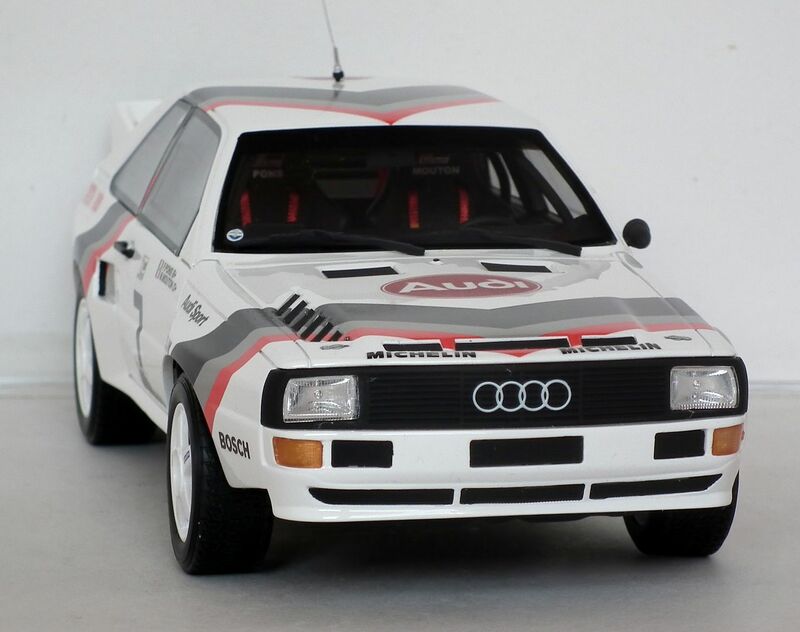 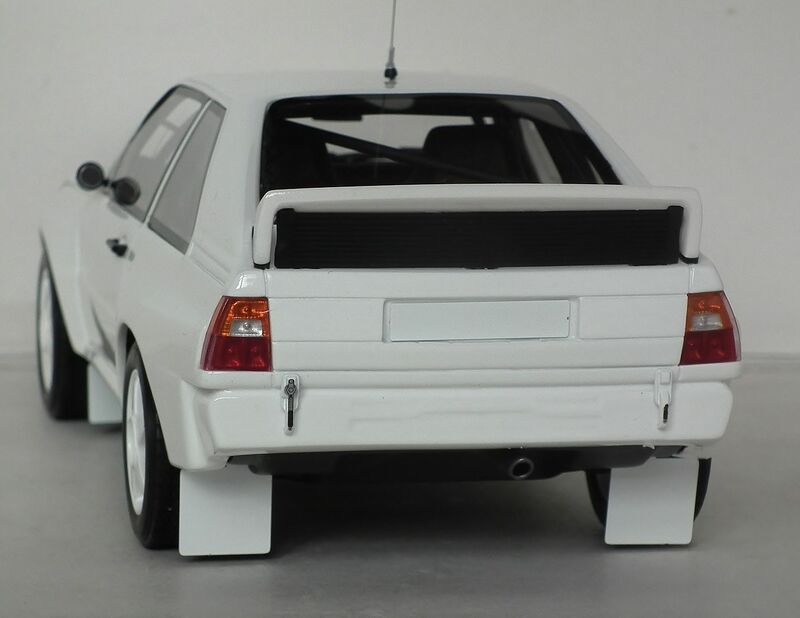 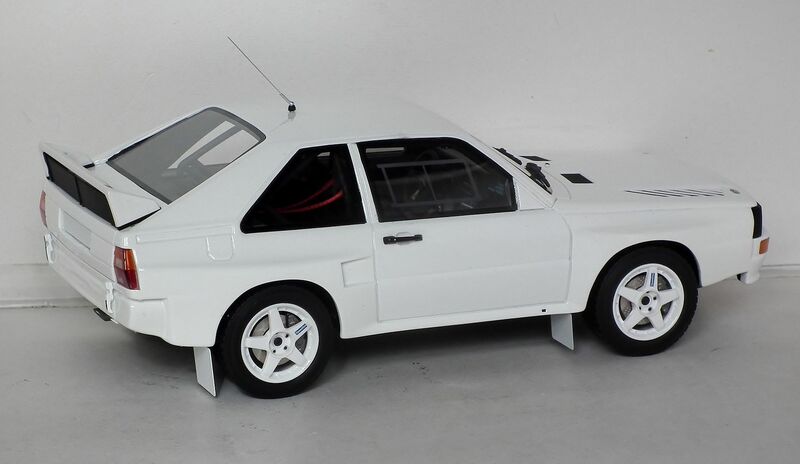 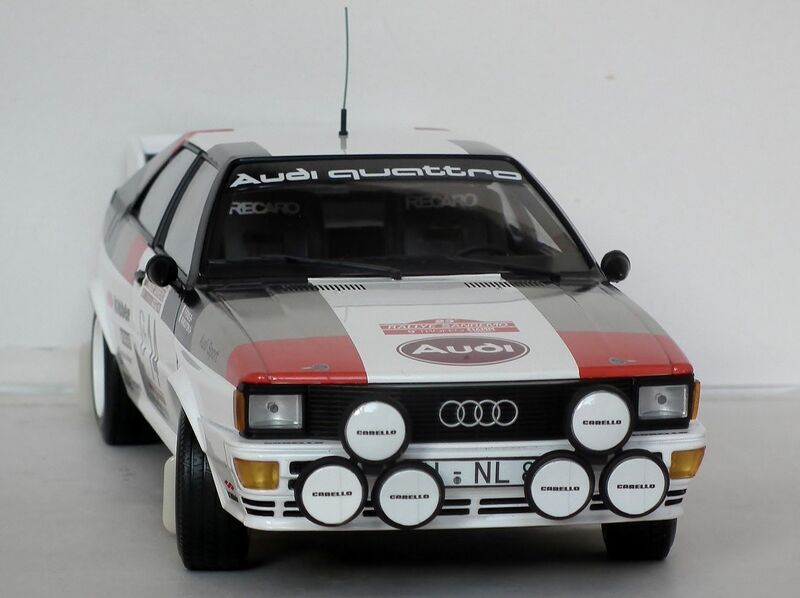 The 1983 Monte Carlo Rally marked the debut of the newly homologated Quattro A1, now in full Group B specification complete with it's aluminium engine (hence the A) and kevlar/steel front wings. 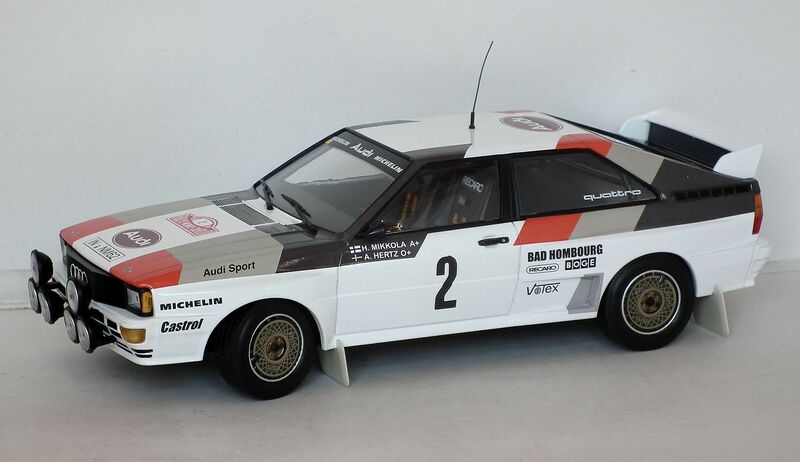 Audi Sport entered three cars, one for Mouton who hit and house and was out, one for Blomqvist and one for Mikkola. 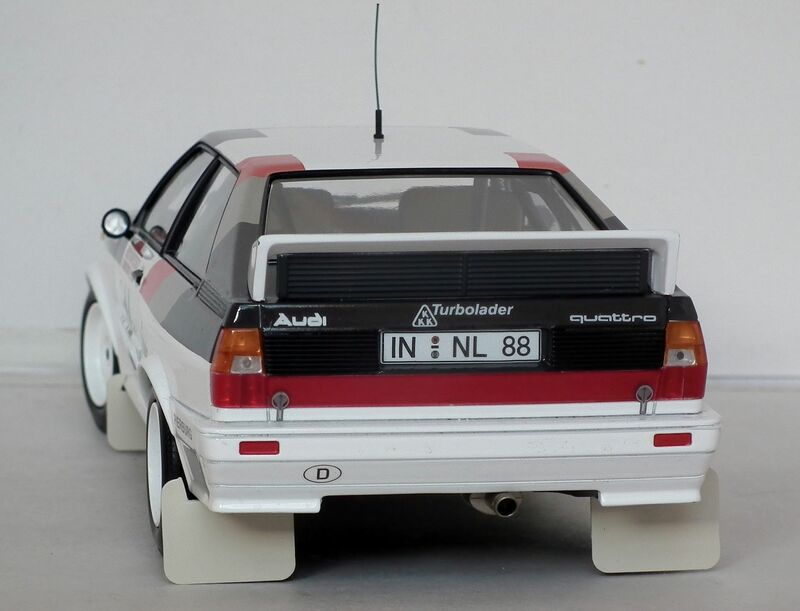 Unfortunately the weather didn't play ball and was mild and dry with very little snow and ice and although Blomqvist briefly led at the beginning, the Quattros were soon passed by the lighter more tarmac specialised cars, with Mikkola dropping away to 7th after after an off on the 2nd stage. 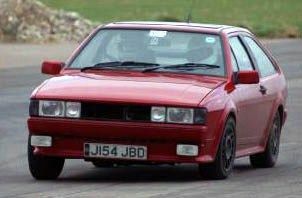 The pair held on for 3rd and 4th at the end but they could not get near the two leading Lancia 037s ahead who were some 11 and 5 minutes up the road at the end. 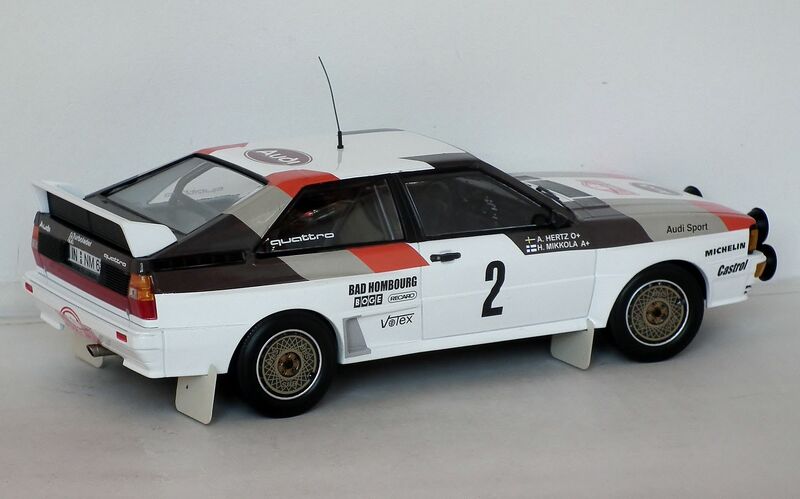 Four Quattros were entered into the 1984 New Zealand Rally, three by Audi for works drivers Stig Blomqvist, Hannu Mikkola and Walter Rohrl and one privately entered but works supported for Franz Wittmann however works opposition was light in the form of a single Lancia 037 and two Toyota Celica Twincams. 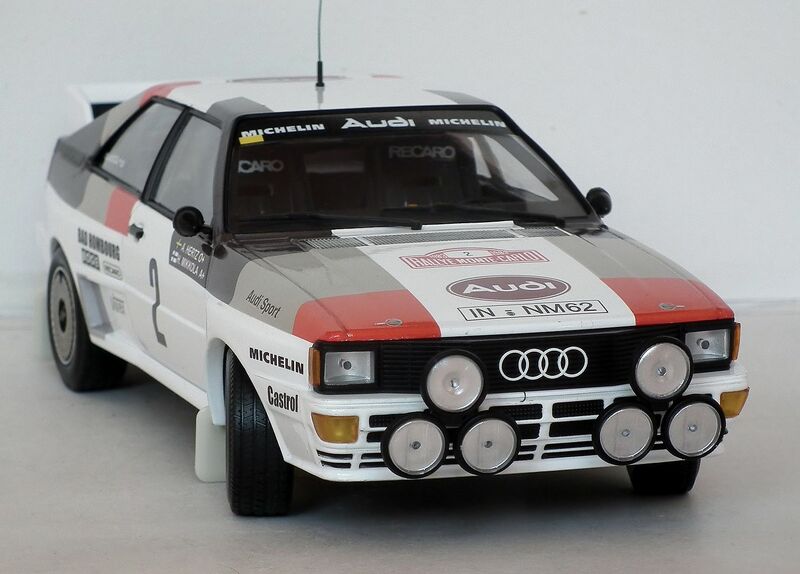 The rally was essentially an Audi show with the early running made by Rohrl until his rear differential gave up handing the lead to Mikkola. 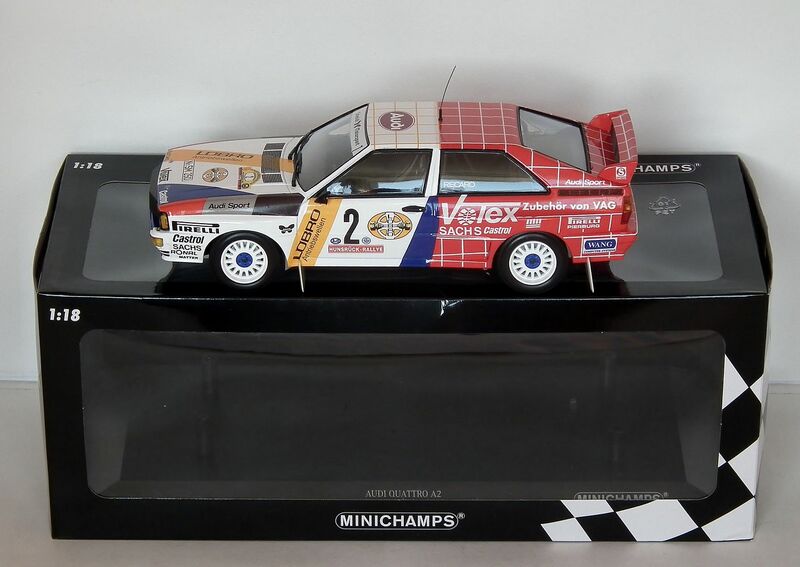 Rohrl then took the lead back until on stage 8 his ignition failed ending his rally which gave the lead to Blomqvist with Mikkola hot on his heels three seconds behind. 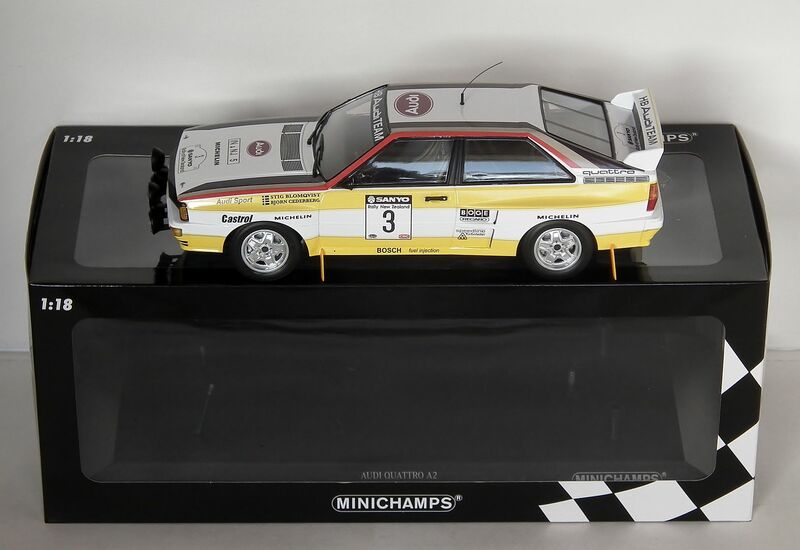 Wittmanns engine failed on stage 21 which left the works pair to swap the lead between themselves until on stage 27 Mikkola flipped his car onto it's roof and it then promptly caught alight due to a broken turbo oil pipe. 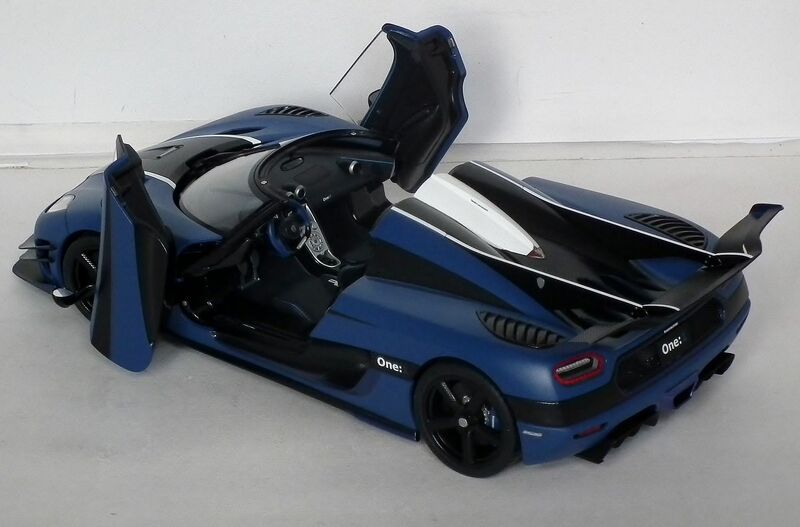 Based on the Agera, the more track focused but still road legal One:1 uses the same 5 litre twin turbo V8 but with the wick turned up to 1,341hp and an astonishing 1,011 lb/ft of torque all of which is deployed through the standard 7 speed dual clutch transmission. 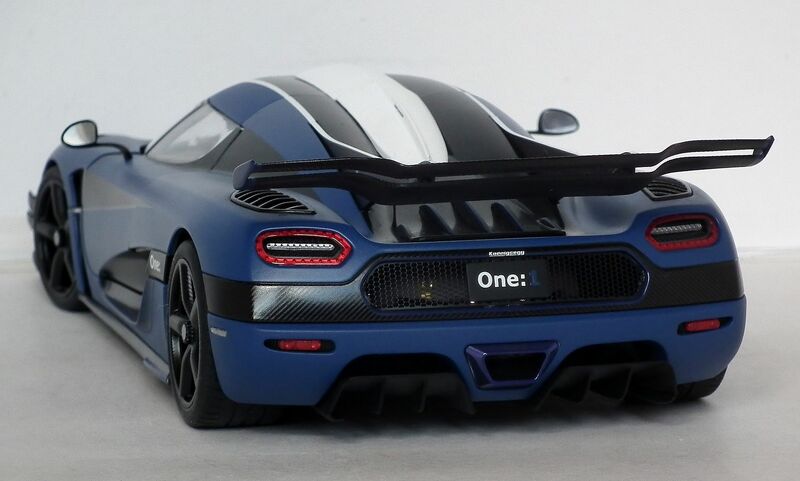 Limited to 7 cars including one prototype the car's name comes from it's power to weight ration of 1hp per kilo though that's PS and not BHP. 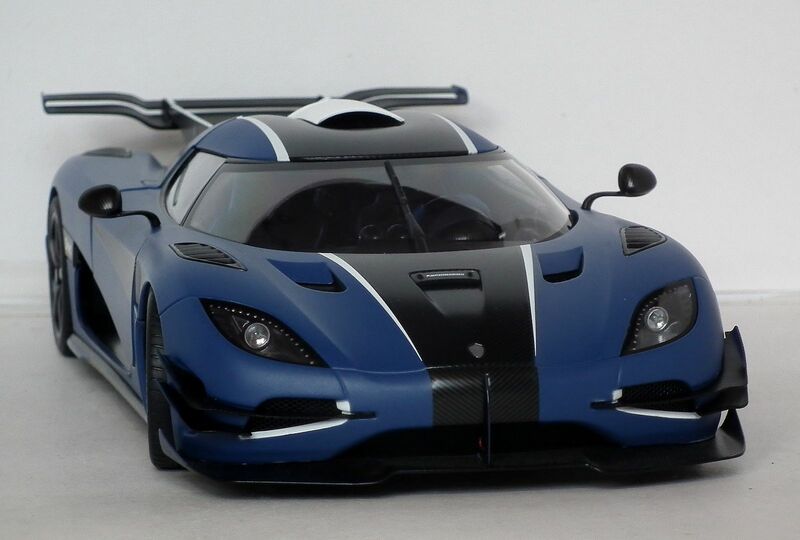 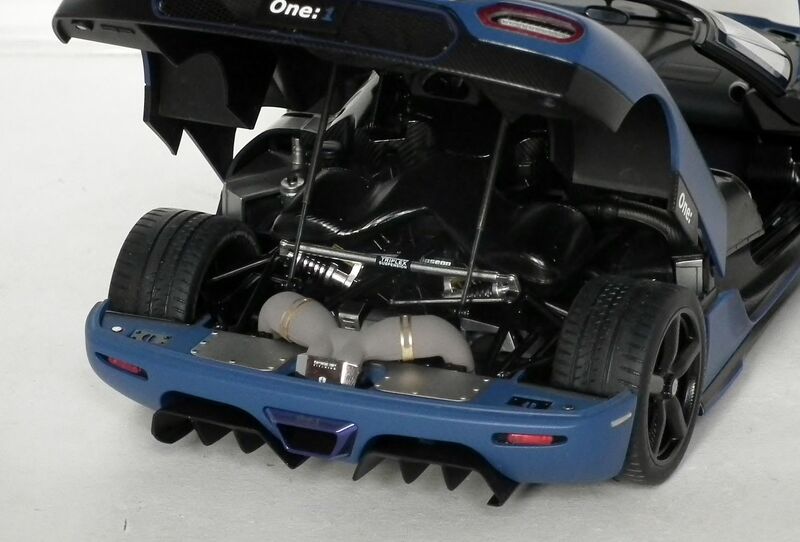 Changes from the 'standard' Agera include extra air scoops, extra radiators, an adjustable and extended rear wing and a remodelled front end to increase downforce which means though the roof comes off you can no longer stow it in the nose. 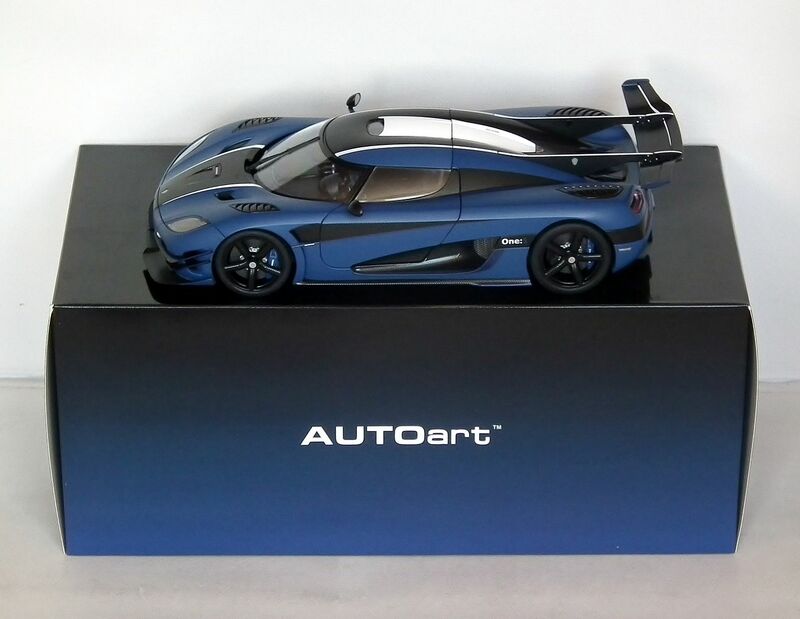 Great model and even nicer in the hand. 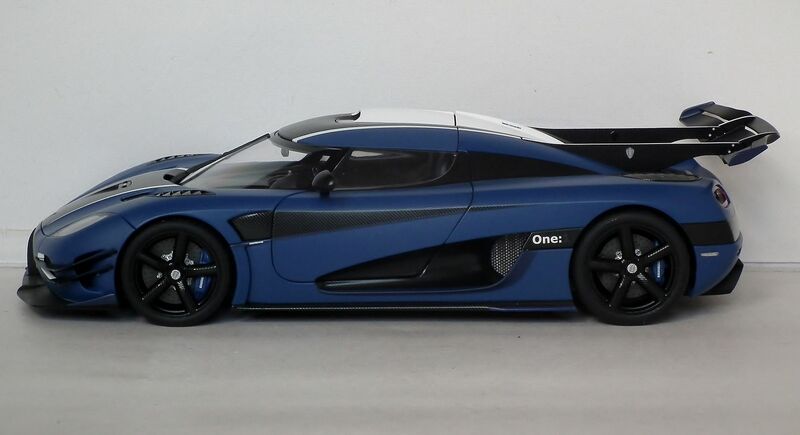 Love a blue car with black wheels too! 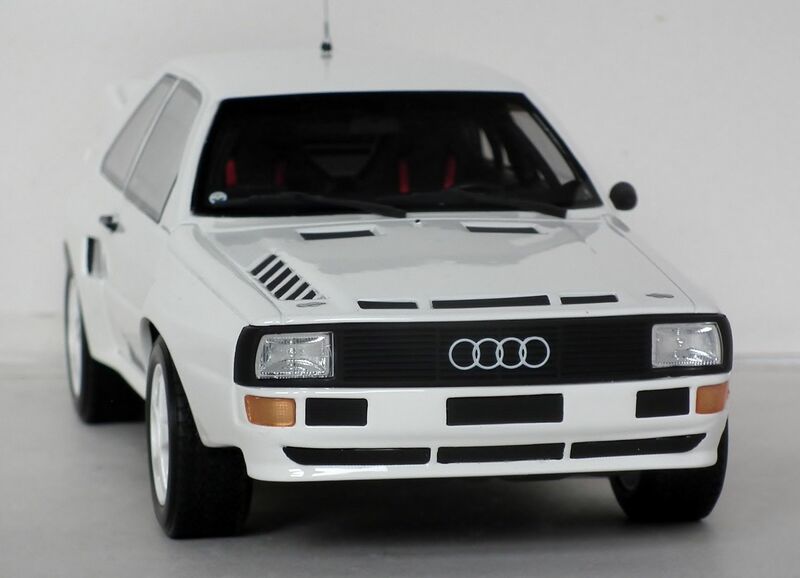 No surprise that I'm drooling over all your quattros Andy. 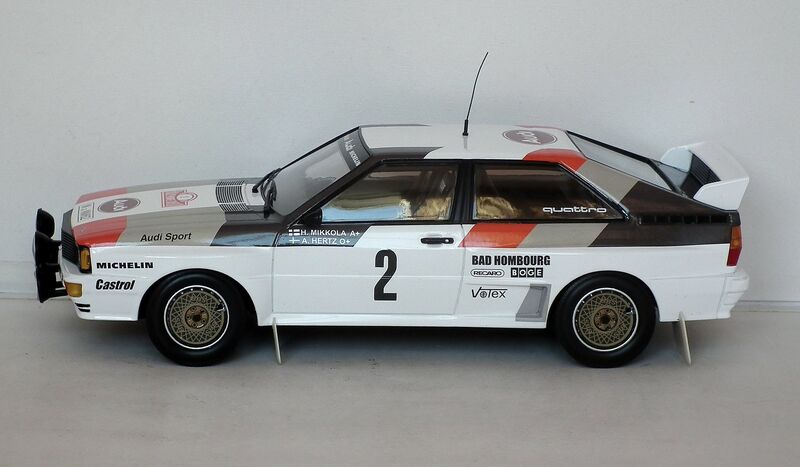 The 'bitsa' livery is the most special, if not the most easy on the eyes. 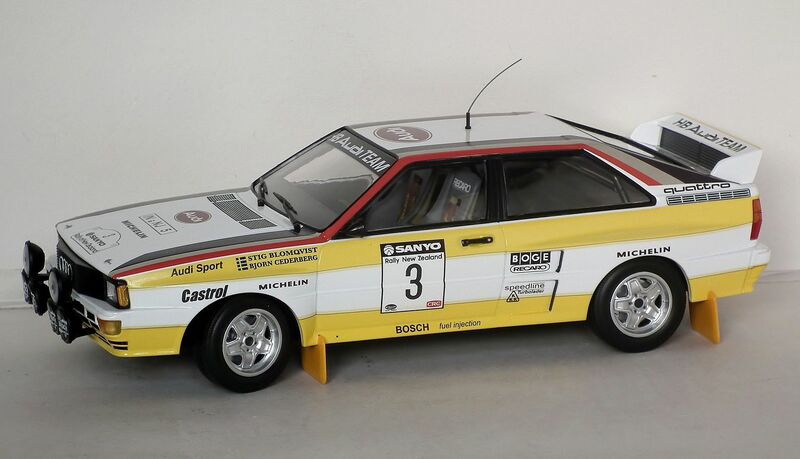 Seriously considering this version both for Michelle's achievement and the fact that this is on tarmac rims and in the classic works colours. 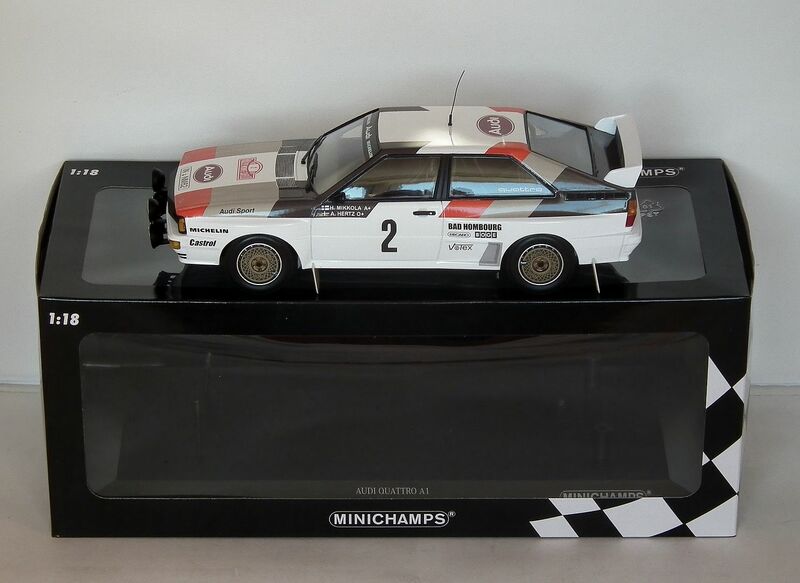 Waiting though to see if they will model the Mikkola Mintex 82 winner as that was my local round of the Open Rally Championship. 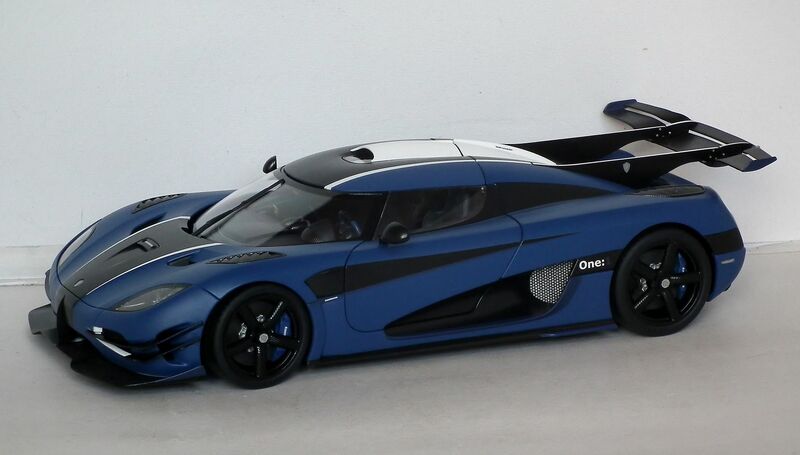 No surprise at all Tom I think it's great livery just don't stare at it for too long! 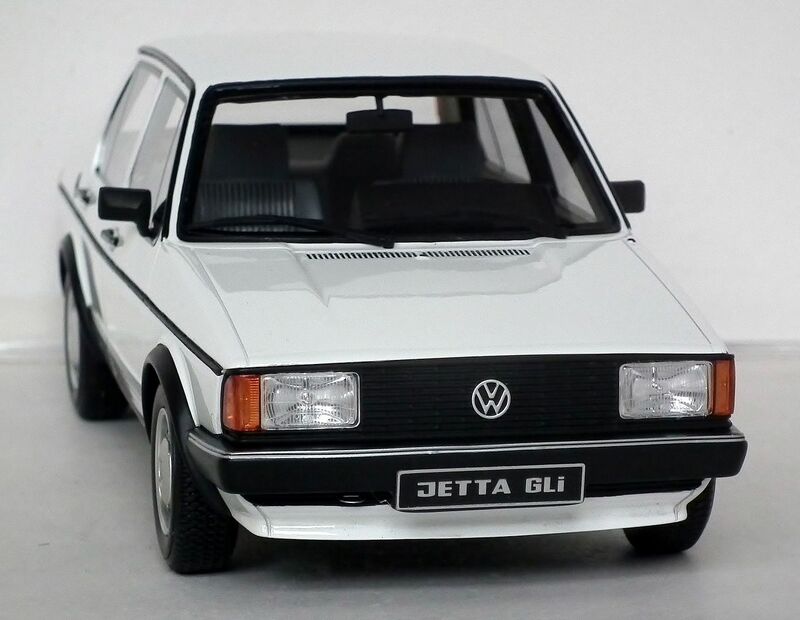 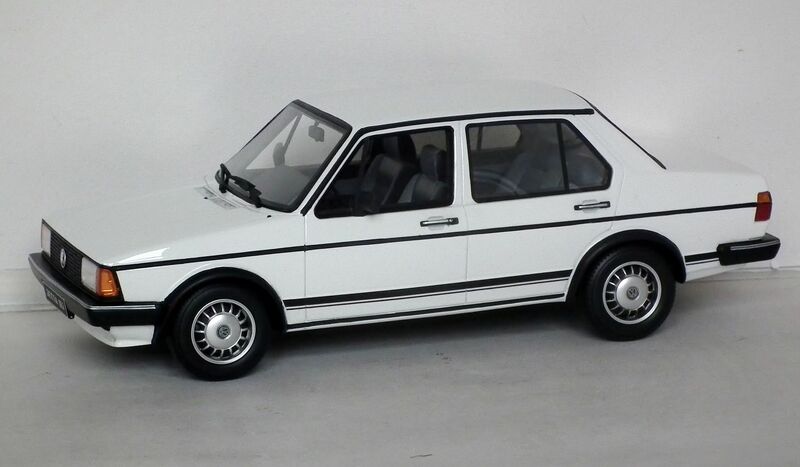 After the release of the Golf, Volkswagen decided to add a traditional 3 box design to the range and by essentially grafting a boot onto the Golf, they came up with the Jetta. 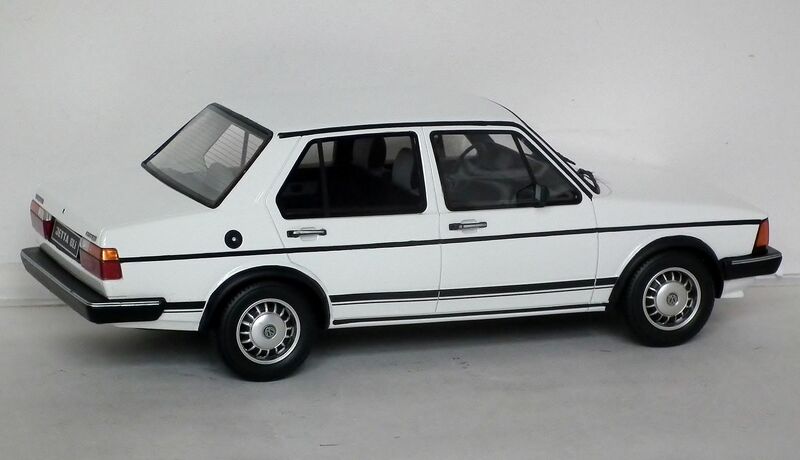 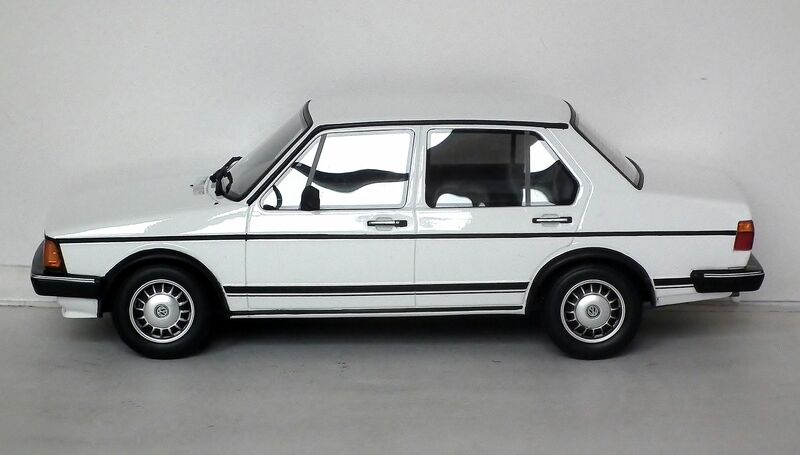 Launched in 1979 the car was a considerable success particularly in North America and came fitted with a range of engines from a 50hp 1.1 litre through to a 110hp 1.8 litre along with two diesel options. 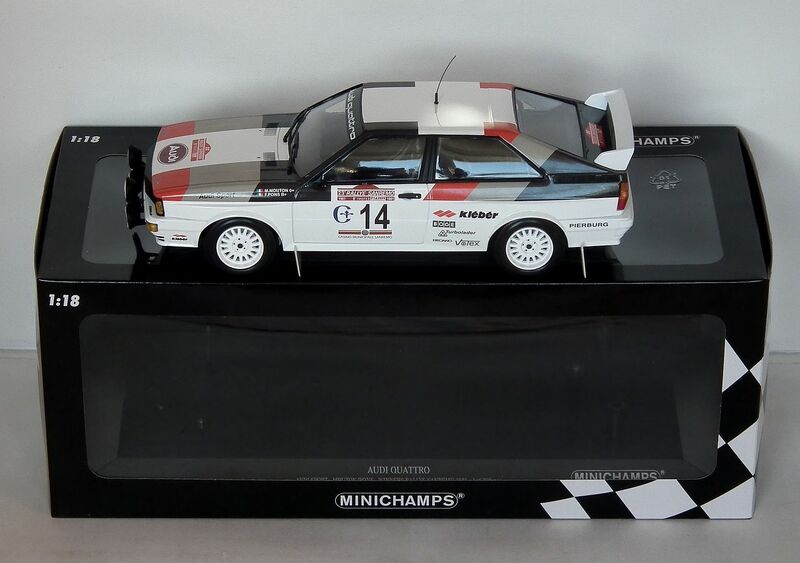 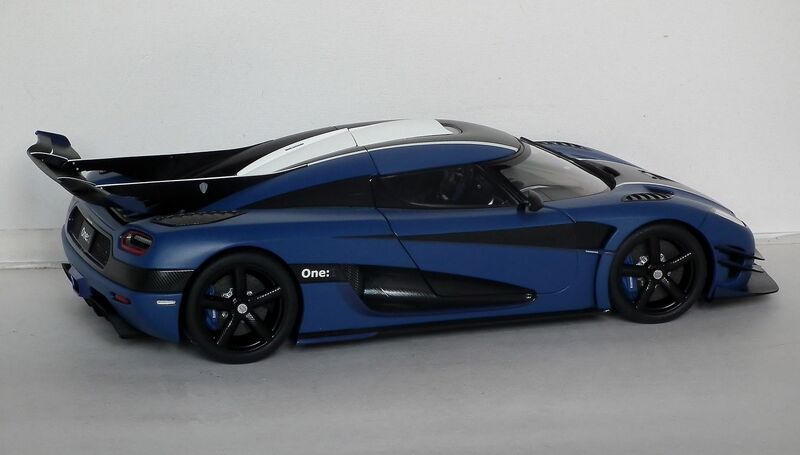 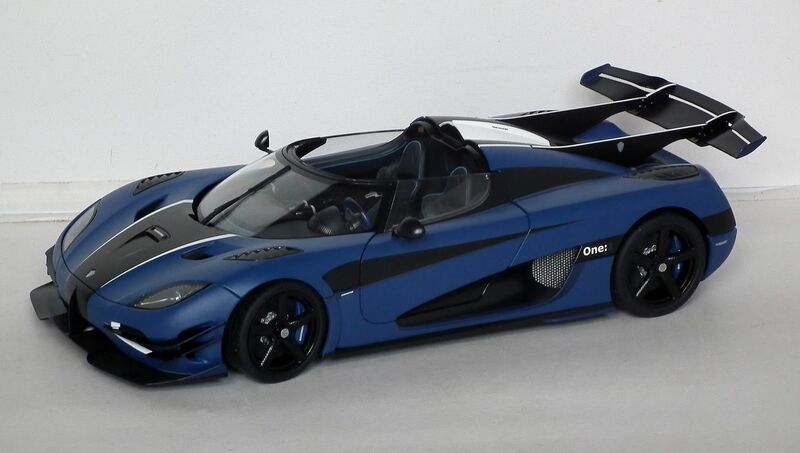 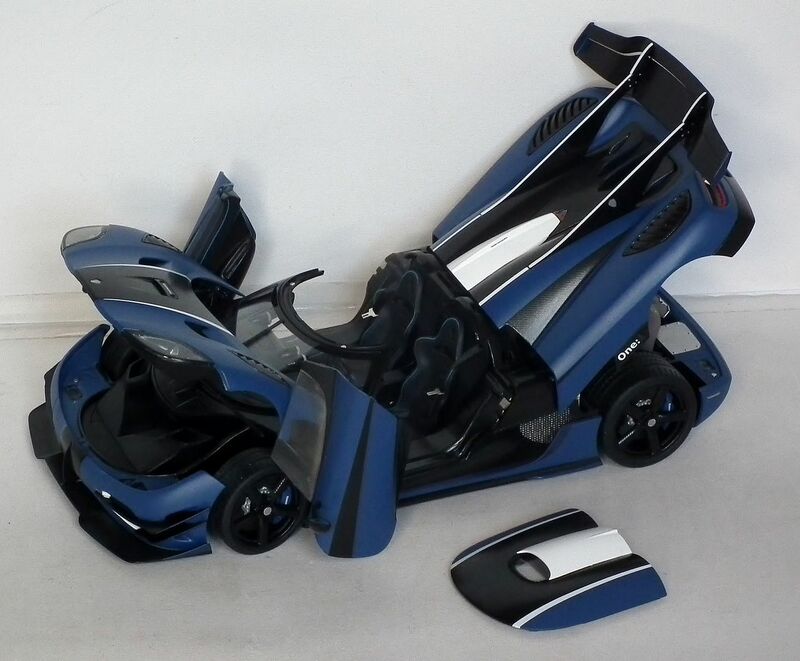 If I had the budget, that would break my rule of '1:43 and nothing else'... superb. 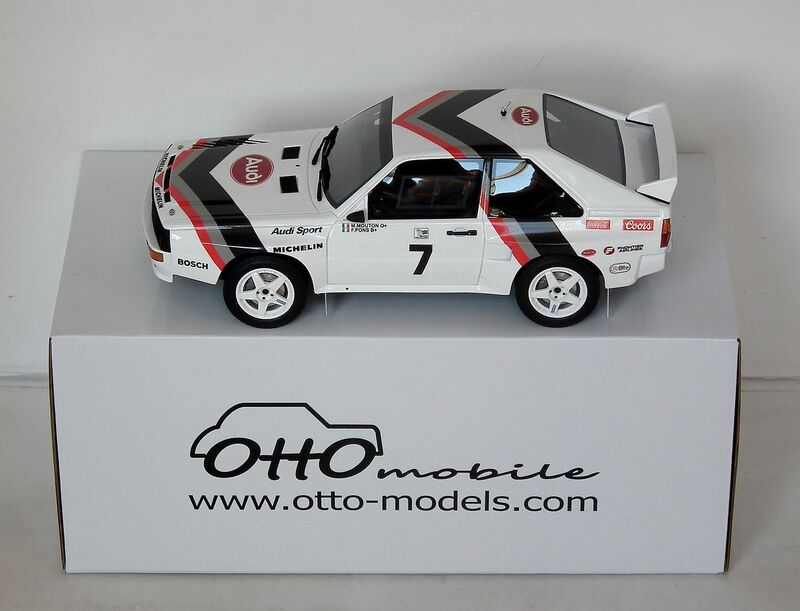 A nice memory for me. 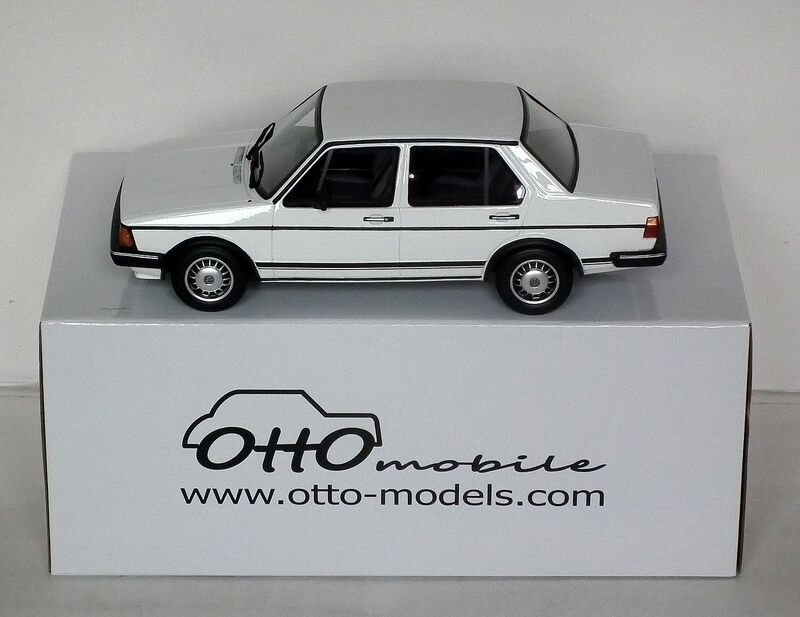 Otto doing what Otto does best......slightly less common run-of-the-mill model subject, superbly reproduced, and most desirable. 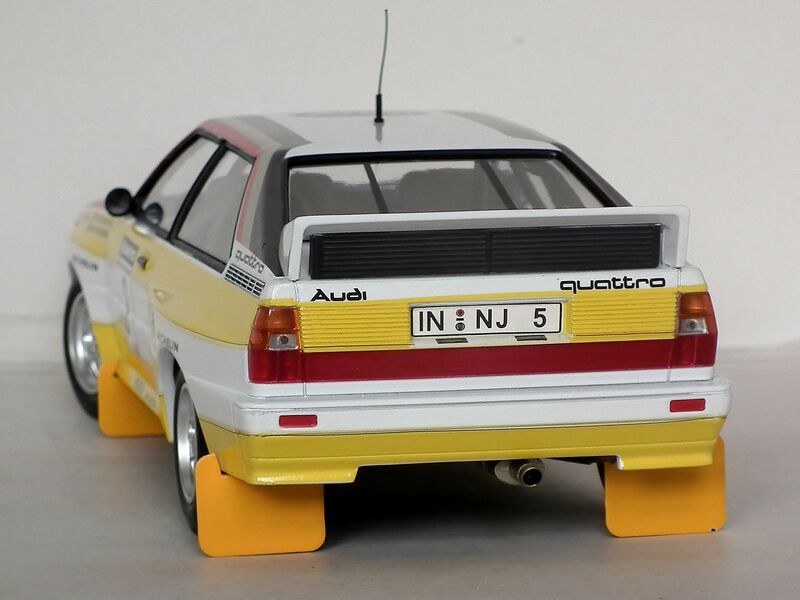 Developed specifically for homologation in Group B, the Audi Sport Quattro took the Ur Quattro formula and removed a little over a foot from the wheelbase, added wider wheel arches and wheels, a windscreen from the Audi 80 with it's steeper rake and a slightly smaller engine to meet the 3 litre rules with turbocharging multiplication applied. 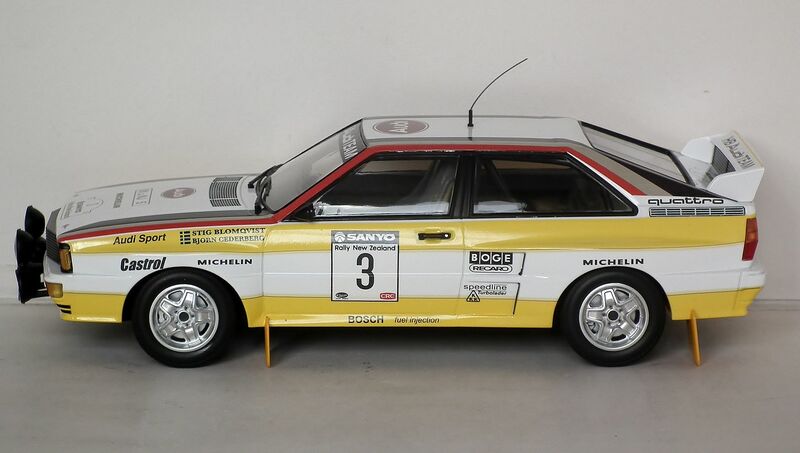 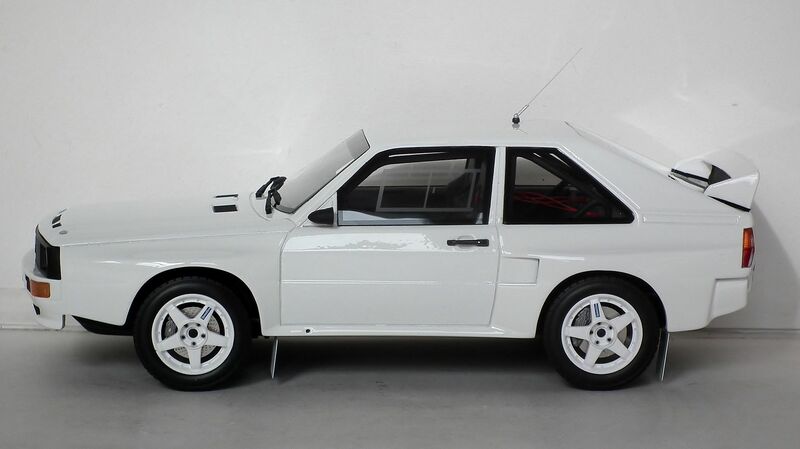 Sold in small numbers as a road car (224) it produced 300hp in road trim compared to the 200-220hp of the standard Quattro. 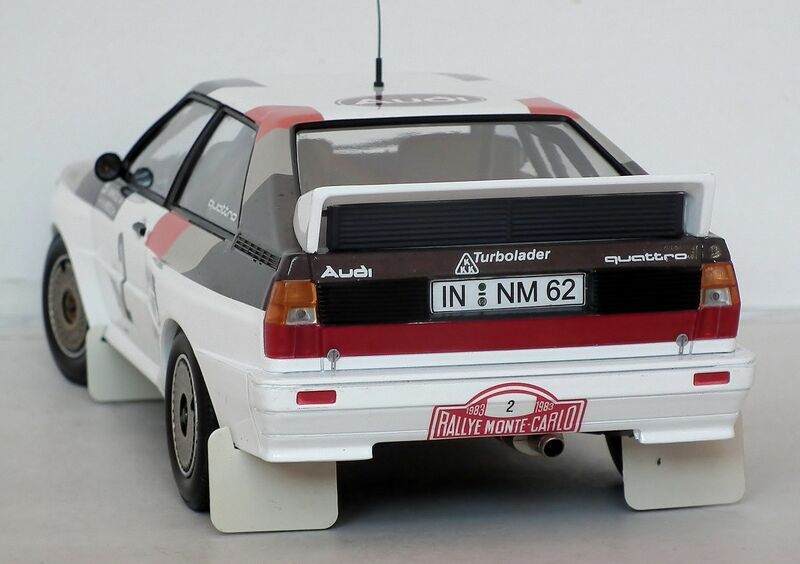 Andy, not being an Audi expert, is this how the burgundy Provence Moulage should look? 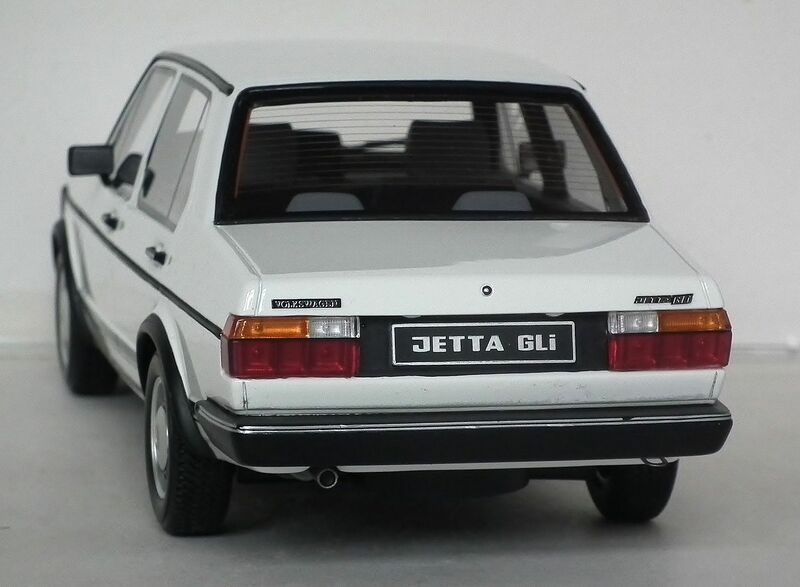 In terms of the glasshouse and overall body shape yes.